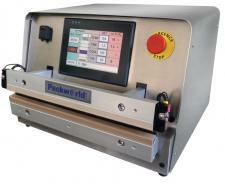 Packworld USA uses TOSS Technology exclusively in all their precision heat sealers. TOSS Technology is Variable Resistance Controlled (VRC heat sealing. It is an improved method of impulse heat seaing that overcomes the limitations of simplistic conventional methods. In addition, it brings advantages to the fabrication and packaging requirements of the Medical/Pharmaceutical/Healthcare and Biotech Industries. Advantages that are not available with other modes of joining thermoplastic materials. Download the "9 Steps to Heat Sealing Perfection" from Qmed https://directory.qmed.com/p-step-1-heat-sealing-configuration-determine-file054969.html. Founded on 30 years of hands-on experience in the packaging machine design and manufacturing industry, we have quickly become one of the most recognized brands in the life sciences market. Our sole mission is to design and engineer precision controlled, validatable heat sealing equipment. We take pride in providing our customers with superior service and continued excellence in the area of Polymer Heat Sealing Solutions. From our Benchtop models to floor standing production machines, all our machines are designed for markets where high quality, repeatability, and validation are required. 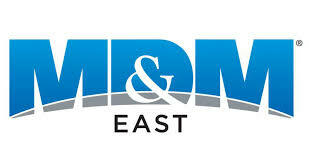 What sets PackworldUSA apart from all the rest is its use of the high response, state-of-art, TOSS Technology. All our machines come equipped with the advanced TOSS heat sealing system. Unlike other heat sealing methods, only TOSS uses Variable Resistance Controlled (VRC) heat sealing technology to monitor and adjust temperature precisely over the full length and width of the heat sealing element, accurate, up to 500◦C. With TOSS technology, the inherent inconsistencies of thermocouple controls are eliminated and customers are assured of consistent, repeatable seals from one machine to another as well as from the first seal to the last. Sustainable and green initiatives are becoming increasingly important in today's business climate, as companies restructure their supply chains to reduce their carbon footprint, while also improving their bottom line. PackworldUSA precision heat sealers use 20 to 30 times LESS power than conventional Constant (hot bar) sealers. This is based on power consumptions by comparing same size heat sealing bars. The data was developed taking into account the heat lost from radiation and an estimate of losses from the Hot Bar into the mounting structure. Constant heat bars have an initial heat up with 550 watts for 30 minutes while Packworld Variable Resistance Controlled (VRC) bands use higher 625 watts for only 0.40 seconds. Constant bars will use approximately 450 watts per hour for 8 hours to maintain the temperatures. There are other heat losses beyond the computation, such as multiple machines in a controlled temperature room running consistently during the shift. Our precision heatsealers provide simple validation and calibration controls in a user friendly machine. Find out more about Green Heatsealing — Click Here and we’ll send you the details of our findings and our “9-Steps to Heatsealing Perfection”. PackworldUSA is a totally solar powered facility, manufacturing all our equipment in Nazareth, PA.
TOSS Impulse Heat Seal Bands are custom made to fit any heat sealer. Alloy 20 bands are far superior, long lasting and flawless seals every cycle.